Costuming is a silent, visual and psychological force when you’re watching something, be it in a movie, a television show or on stage at a theatre. 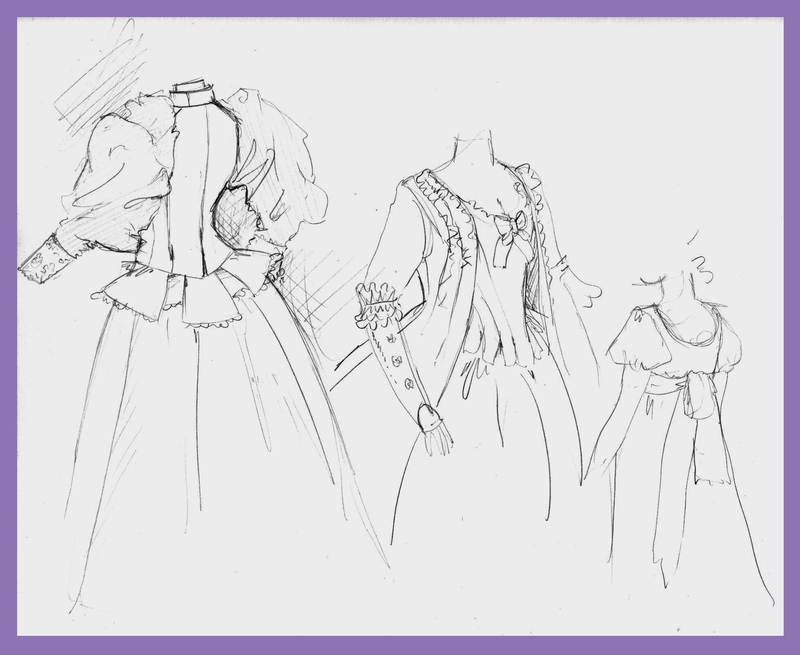 Along with the other technical aspects of a production, costuming is a necessary, integral part of a person’s viewing experience, as it helps do things like set the time period, location and mood of whatever it is you’re watching. Costumes can also give the viewer clues as to who the characters are, what their occupations may be, and can even influence how we feel toward certain characters, depending upon color, fabric and garment choices. Below are some of my favorite films not only because I love the stories themselves, but because I also really admire the work that went into their costume design! Set in the 1920s, Tarsem Singh’s The Fall has elements both set in the ‘real’ world and in the fantastical world of an injured stunt actor (Roy Walker, played by Lee Pace), which is definitely not so much based in any type of existing or historical accuracy, although Charles Darwin is a character is his tale. The overall design of the film comes-off as heavy-handed to some people with whom I’ve discussed the film, but I thought it was pretty breathtaking and dreamily imaginative in its scope. Eiko Ishioka is responsible for the costume design. She was totally fearless and took risks, which, as a costume designer, I can really appreciate. Ms. Ishioka was also responsible for Bram Stoker’s Dracula in 1992 (she won the Oscar for Best Costume Design for this endeavor) and The Cell, two more visually stunning films. 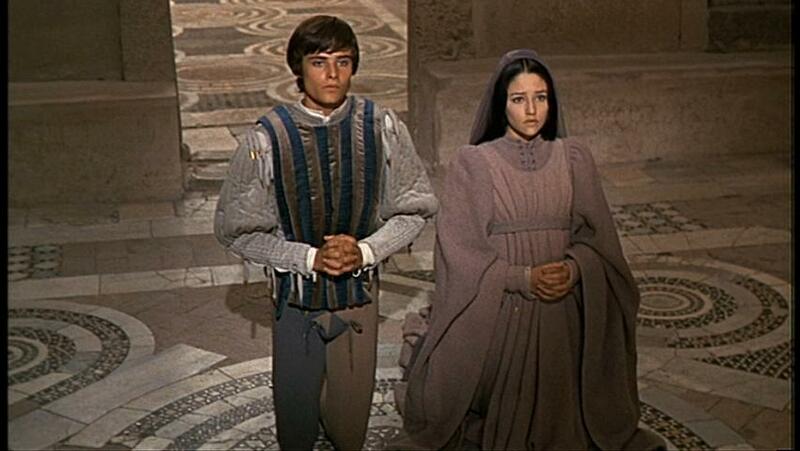 I can’t say I’m hugely a fan of Romeo and Juliet, as I have a sort of ongoing love-hate relationship with Shakespeare, but Franco Zeffirelli’s 1968 film has some pretty keen costuming. Unlike today’s costume designers, Danilo Donati wasn’t afraid to shy away from some of the stranger elements of 16th century fashion. Particolored tights and codpieces for the guys? Yes! Stiff, unfitted, slashed and voluminous gowns for our heroine? Perfect! There are always elements of modern design integrated in the most accurately-researched films, simply because expectation of aesthetic and the actuality of ‘historical’ garb are frequently at odds with current tastes. Romeo and Juliet is a fine example of elegant and appropriate costuming for this adaptation. 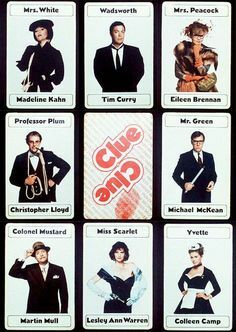 Set in 1954 during the Cold War and the height of McCarthyism, Clue is one of my favorite all-time movies (I do so love the boardgame upon which the film is based, too). It’s hilarious, snarky, and ridiculous, and its all-star cast and tongue-in-cheek treatment of the bygone era make it all-the-more enjoyable to watch. That being said, Michael Kaplan’s designs weren’t entirely accurate to the time period, but they really and truly characterized each individual— there was definitely something of an 80’s vibe, especially to Leslie Ann Warren’s Miss Scarlet for instance, but, like I mentioned above in regards to Romeo and Juliet, we frequently view design through a lens of current aesthetic values, so this will always happen to some degree. While these two movies are vastly different, they share the same costume designer— Jean-Paul Gaultier. 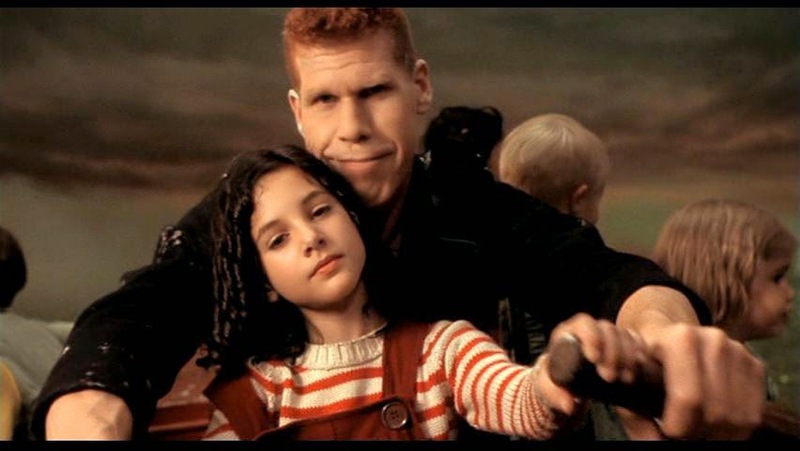 In City, Gaultier’s ability to take mundane clothing— jumpers, striped sweaters, drab collared shirt dresses— and make them darling, creepy or ominous is really admirable. Sci-Fi elements, accessories and gadgetry really drive the darkness of the story, and the overall saturation of the film helps with this feeling. The costumes just fit so seamlessly into Marc Caro’s strange, dystopian world, and I really dig that. 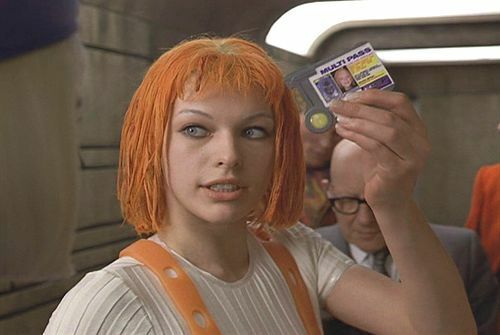 The Fifth Element features both a kickin’ female lead in Milla Jovovich’s Leeloo and some awesomely audacious costumes. For example, Chris Tucker’s Ruby Rhod wears an exquisite array of clothing that pulls no punches, from a black unitard with roses cascading about the front to a furry leopard-print one-piece. Gaultier’s costume design simultaneously tips its hat to Sci-Fi of the past, while blazing a unique trail onward into new territory. Leeloo has carte blanche for fearless style. 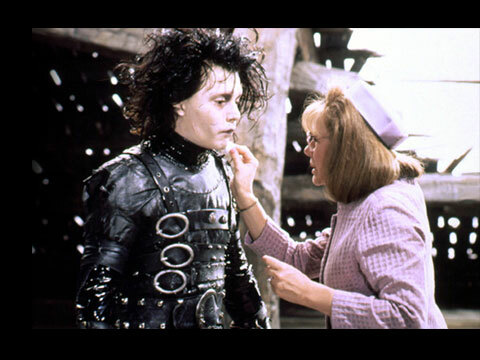 While there are myriad choices when it comes to which Tim Burton/Colleen Atwood collaboration I could have selected, personally, the understated, yet über-kitschy, costumes from Edward Scissorhands tops my list. Edward and Peg: Different yet similar. The world in this film is so surreal, but in a way that I think it could actually exist; it is built upon utopian artifice that comes crashing down so quickly and in a heartbreaking manner, and all of the sixties-esque pastels of the women in their pillbox hats or capri pants, and the letterman jackets of the high school boys harken back to an idealistic time that was never actually very ideal. Plus, I am fond of contrasts, such as Edward’s leather-and-buckle-bound ensemble, in comparison to Kim’s iconic, off-the-shoulder white dress. I like the costume design because it’s so seemingly and guilelessly simple, but it’s really playing an understated cerebral game with the viewer. What kind of films do you most admire for their costumes? Let us know in the comments below!